The beginning of spring is quickly approaching and that means it’s time to decide what Bright Lights classes your student will want to attend this summer. You can see a complete list of our classes to discover what sparks your student’s interest. This will help you to be ready for registration on Saturday, April 1 at 8:00 AM. Enroll by student’s grade as of April 1, 2017. Example: If your child is in third grade right now, you may select any class labeled for Grade 3, including Grades Completed 1-3, 2-4, 3-5 or 3-6. All registrants need a valid email address to register. Class confirmations are immediately emailed to the address provided. The class is yours once you add it to your cart. Therefore, if you have several students you are registering, there is no race to the end to try and get them all in. As long as you continue progressing through the registration process, the class will be held for you in your cart. You may select all of the classes you need for your student(s) at the beginning of the registration process—therefore, it is helpful to have a list for each student ready before you begin. 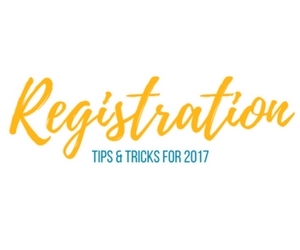 You may add additional classes at the end of the registration or at a later date.